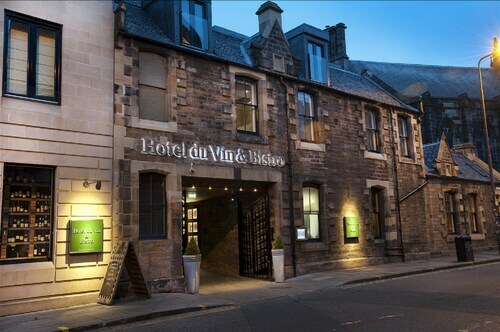 Situated in Peebles, this spa hotel is within 20 miles (32 km) of Abbotsford, Rosslyn Chapel (Collegiate Chapel of St. Matthew) and Melrose Abbey. King's Theatre and Edinburgh Corn Exchange are also within 25 miles (40 km). 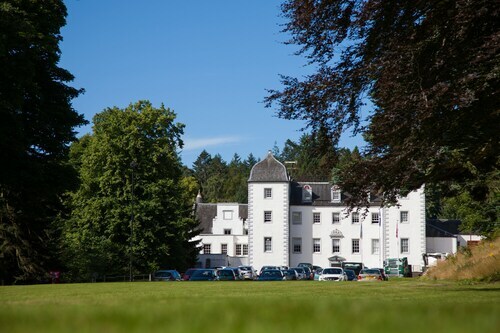 Situated in the mountains, this spa hotel is 0.1 mi (0.1 km) from Great Polish Map of Scotland, and within 6 mi (10 km) of Peebles Golf Club and Neidpath Castle. Kailzie Gardens and Dawyck Botanic Garden are also within 12 mi (20 km). 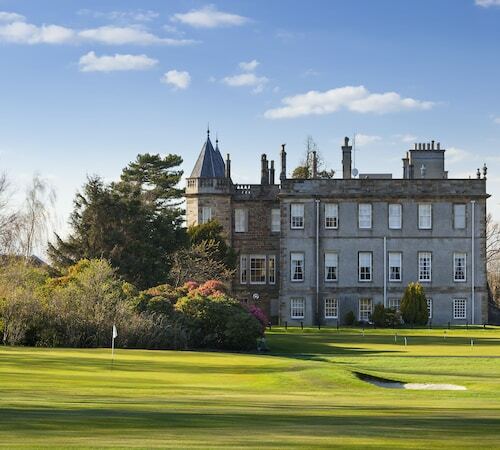 Situated in Peebles, this spa hotel is within 20 miles (32 km) of Rosslyn Chapel (Collegiate Chapel of St. Matthew), Pentland Hills Regional Park and Abbotsford. University of Edinburgh and Grassmarket are also within 25 miles (40 km). 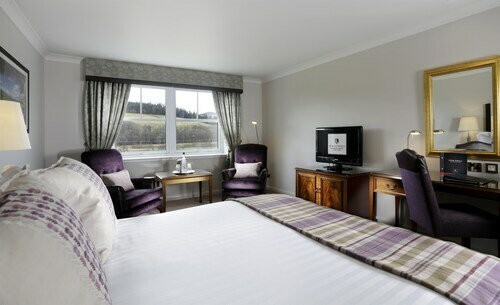 Situated in Peebles, this hotel is within 20 miles (32 km) of Rosslyn Chapel (Collegiate Chapel of St. Matthew), Pentland Hills Regional Park and Abbotsford. University of Edinburgh and Grassmarket are also within 25 miles (40 km). Located in a rural location, this family-friendly country house is within 20 mi (32 km) of Rosslyn Chapel (Collegiate Chapel of St. Matthew), Royal Commonwealth Pool and Our Dynamic Earth. 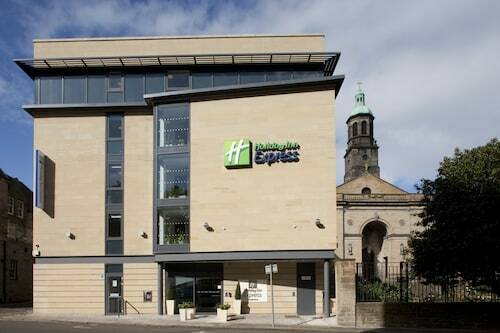 Omni Centre Edinburgh and Grassmarket are also within 20 miles (32 km). Situated in a rural location, this guesthouse is within a 10-minute walk of Robert Smail's Printing Works and St Ronan's Wells. 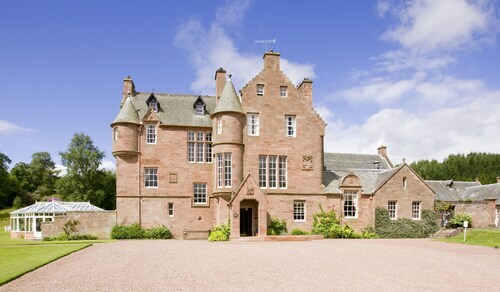 Traquair House is 1.4 mi (2.3 km) away. So, you're thinking about going to Peebles? If you'd like to find accommodation that's located near the sights, you can enter your holiday dates and then use the filters beside your hotel search results to find somewhere to stay near the area's attractions. 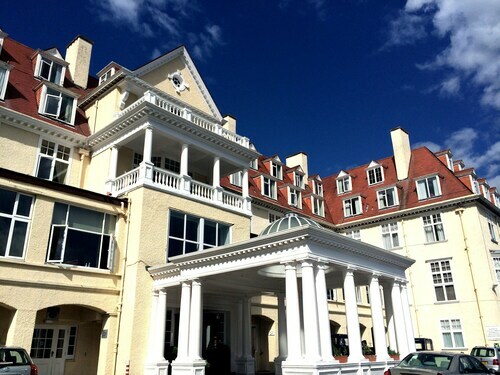 You can choose among 16 Peebles hotels and accommodation choices to find a place to stay. 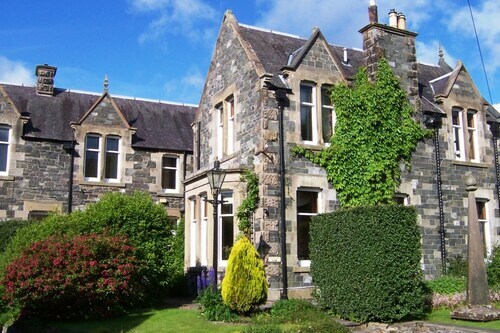 When you're thinking about where you'd like to stay in Peebles, you can easily and quickly search ebookers for hotels offering services such as high-speed Internet, a swimming pool or free airport transport. You can take advantage of the filters to narrow down your search for a hotel, so you get the services that are important to you, such as an in-room kitchen or air conditioning. When making plans for your trip to Peebles, you can also use ebookers to look for a convenient flight to Edinburgh (EDI) Airport. You can narrow down your search by number of stops, airline or departure time to find the one that works best for you. When is the Best Time to Explore Peebles? If you're curious when is the best time of year to visit Peebles, you might find this info about seasonal weather helpful when planning your trip. The warmest months in Peebles are typically July and August, whereas the coldest months are usually January and February. The months with the most rain are August and June, whereas March and June have the least. Average annual rainfall in Peebles is 24 mm. 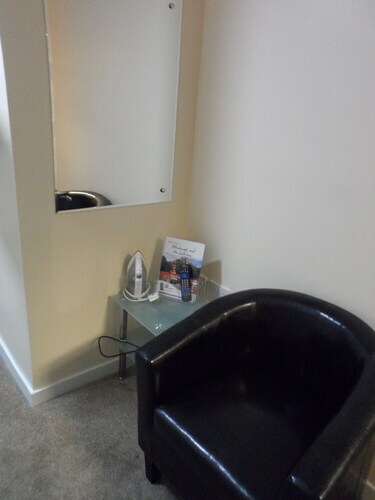 Beautiful property, comfy bed, lovely room and great bathroom spotlessly clean. Could be hot and stuffy in summer as there’s no air con or any ventilation in room (save a window that does open) Checkout was terribly slow. They had only one staff member on front desk at a peak time in the morning and a long queue. 2 weeks ago by A verified traveller from Dalbeattie. Breakfast was very good & plentiful. 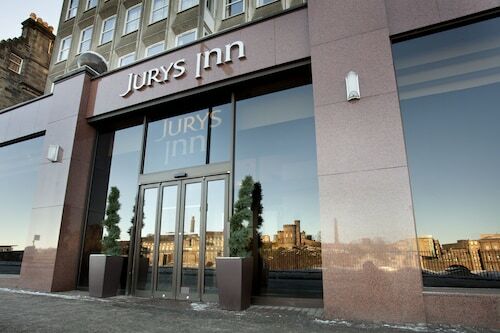 Hotel is a bit tired and in need of a refurb which I understand is in the pipeline. Perfect location, excellent value for money and very good amenities. Just minutes from Scottish Parliament & the Palace of Holyrood and Hop on Hop off bus stops (Dynamic Earth & Canongate).